The Mul-T-Shot pump is an air operated pump with multiple outlets. It can handle from 1 to 12 points. 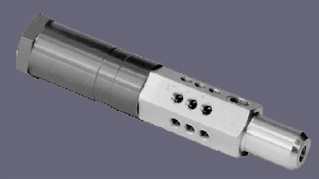 The discharge output per stroke is .005cu.in. (.082cm³). The air pressure rating is 50 PSI (min) and 100 (max). The maximum lube inlet pressure is 150 PSI. It is designed to be used with Oil.